The Blue Angels are Here in Seattle! 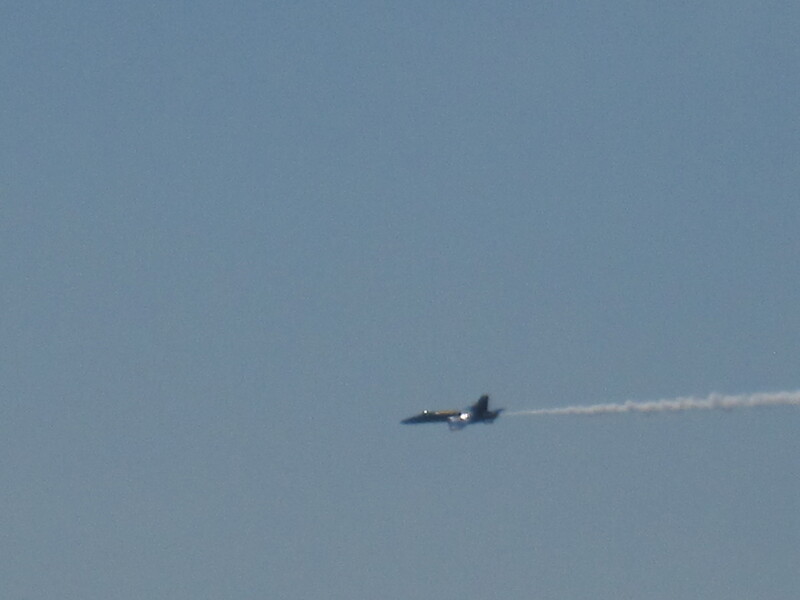 The Blue Angels are here in Seattle for Seafair. 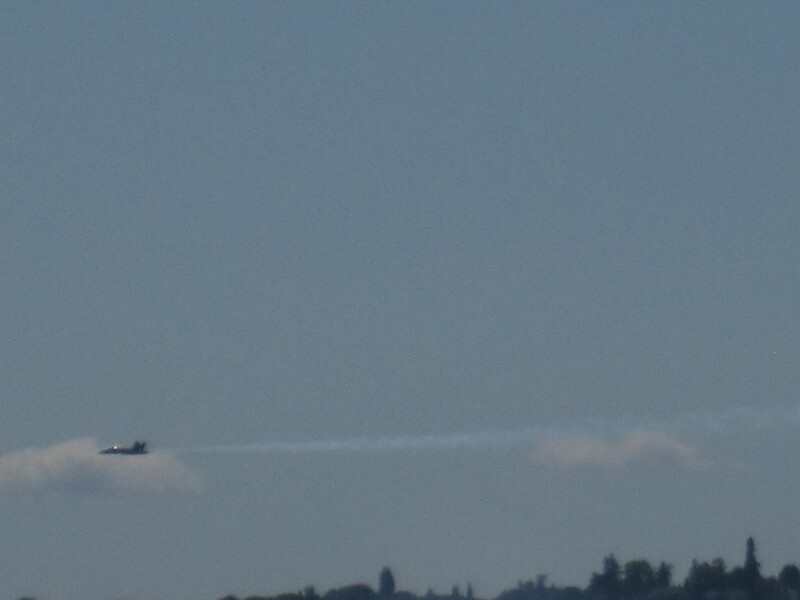 This is Seafair’s biggest weekend with the Blue Angels and the hydroplane races happening on Lake Washington. 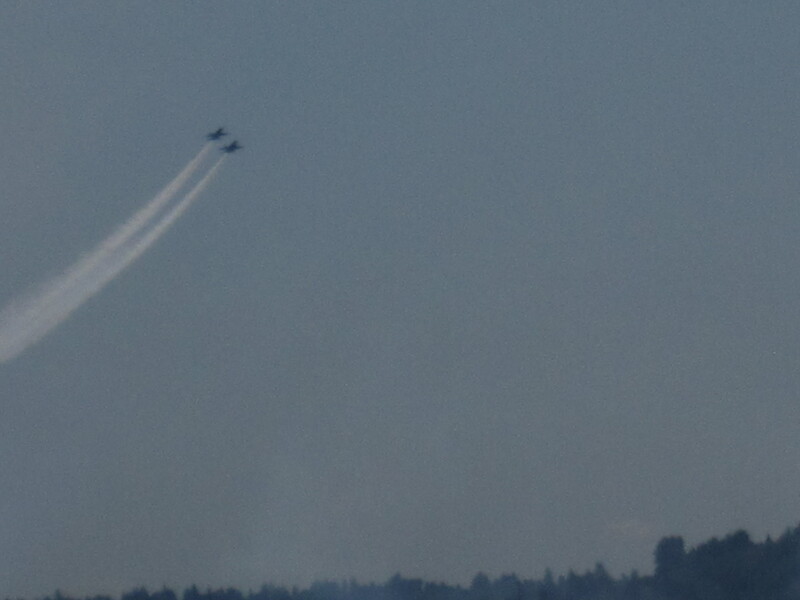 Yesterday, I got to out on Lake Washington and watch the Blue Angels in a practice session for Saturday and Sunday’s big shows. It was amazing to see all the boats out there on a gorgeous Friday afternoon. We we just north of the I-90 bridge and got a great view. Unfortunately, my photos don’t do the show justice. 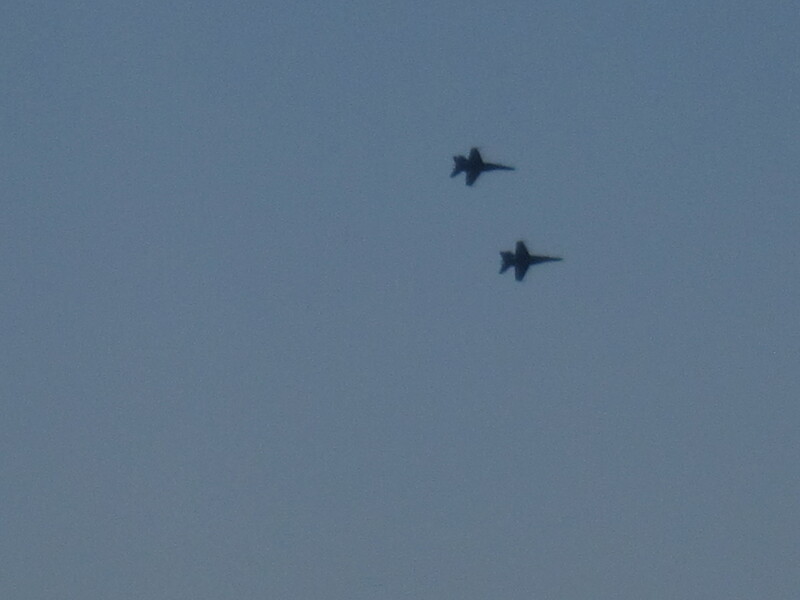 The planes move so fast that by the time I captured a plane (s) in my viewfinder, they were long gone! It’s thrilling to see the planes fly in formation. 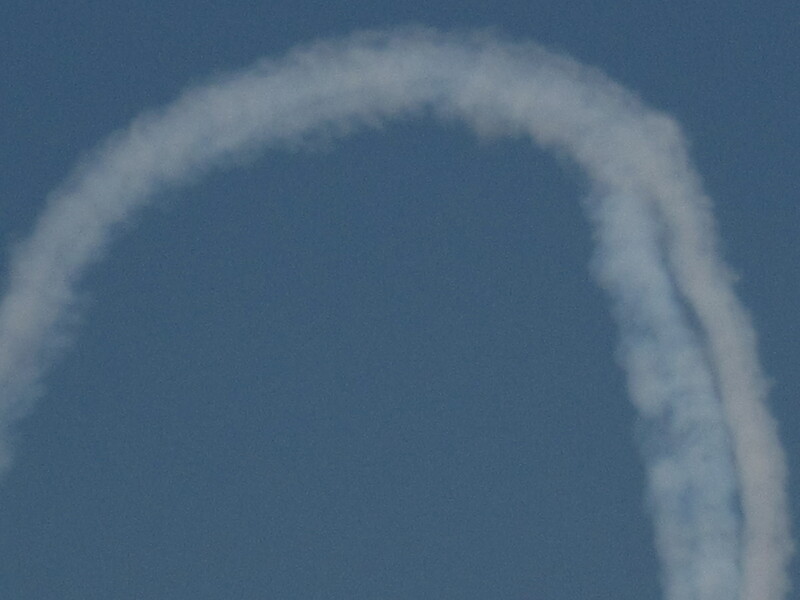 At one point, some of the planes were flown upside down! 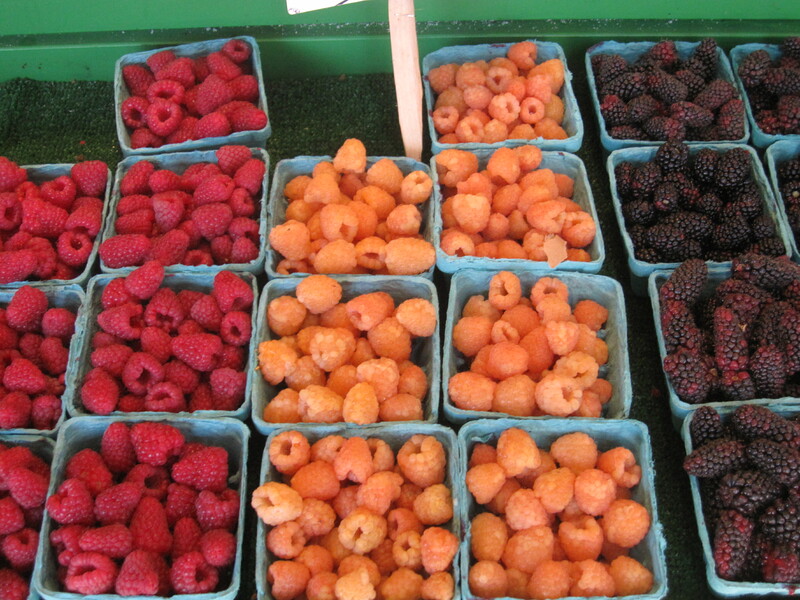 Here are some great photos and a video from the West Seattle Blog. KIRO is the official station for Seafair. If you live in the Seattle area, come out to see the show. It’s spectacular. I played tour guide and tourist in Seattle and on the eastside last weekend. I had family visiting me who had never been out to the Northwest. So I donned by tour guide guise and off we went. It was the perfect time to do this as the weather was just gorgeous and lots of fun “stuff’ was happening. We started first at the Seattle Art Museum Olympic Sculpture Park. 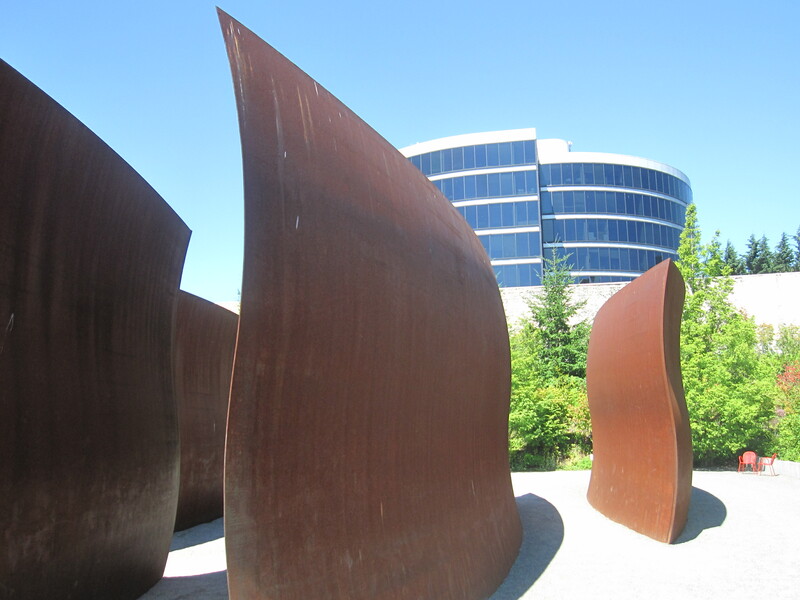 The park is a fabulous, dynamic place with interesting landscaping, views, and world-class sculpture. There are terrific views of Puget Sound and the Olympic Mountains. Plus, you get to see a lot of the harbor traffic. On Saturday, there were three huge cruise liners docked and ready to pick up passengers for a cruise to Alaska. Next we paid a visit to Pike Place Market which, I’m willing to bet, was filled with people sightseeing around Seattle before they boarded one of those big ships to Alaska. It was mobbed, but still it was wonderful to be there. We ended up having a great lunch of gazpacho soup along with some take-out seafood appetizers. I had Alaskan King Crab, which was to die for! I also went to one of my favorite bakeries for dessert, 3 Girls Bakery, and had one of their rugula. We took home a whole wheat hazelnut-currant bread. All in all it was a pretty “tasty’ experience. Check out these $400 truffles! 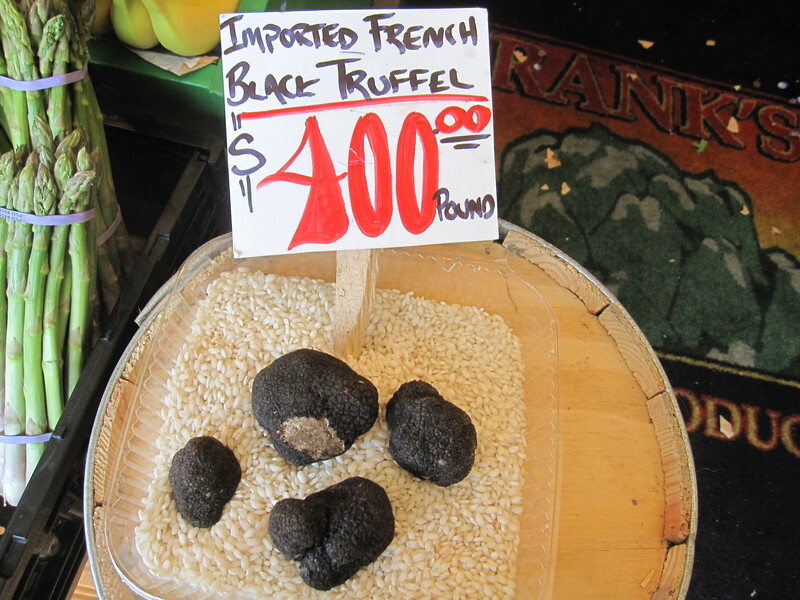 Would you pay that much for imported French truffles? Amazing. 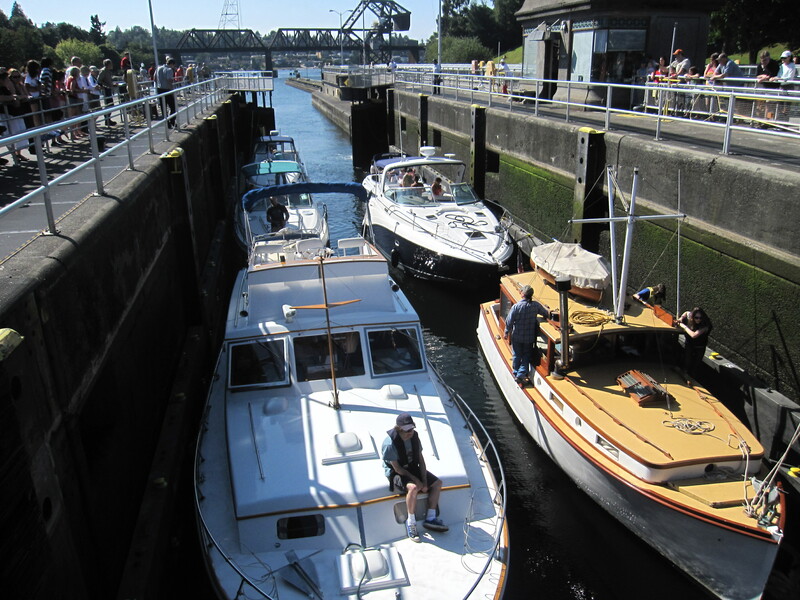 After seeing all the salmon for sale at the market, we finished our day with a tour of the Ballard Locks, which were built 100 years ago to accommodate boats moving from Puget Sound to the Lake Washington Ship Canal. It’s fascinating to see the locks move the ships between the two areas. There’s also a fish ladder where you can view the salmon heading upstream to spawn and die. These fish are amazing to watch as they struggle against the tide, so to speak. The locks are one of my favorite places to visit in Seattle. 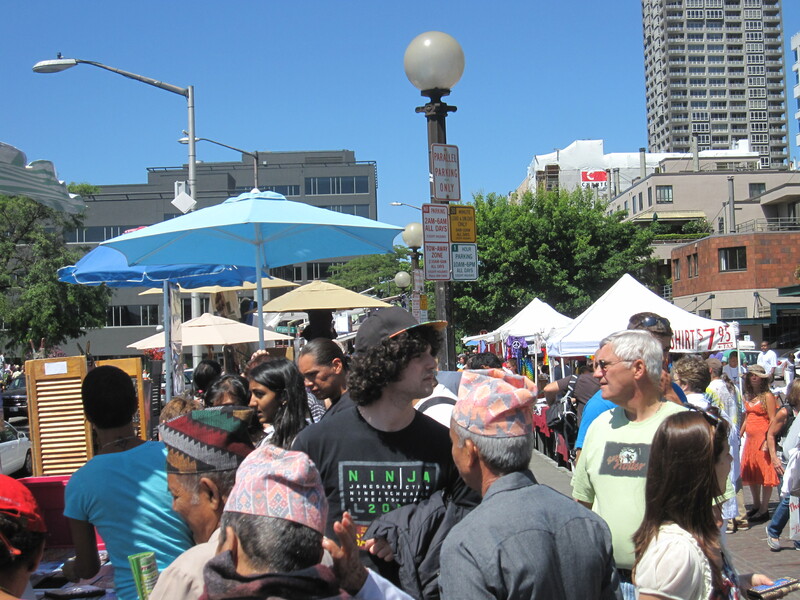 On Sunday, we ventured out to the king of art fairs, The Bellevue Museum Art Fair, which is held in the parking garage of the mall. I know that sounds strange, but after 25 years of attending the fair, I’ve gotten used to the fact that it’s in a parking garage. 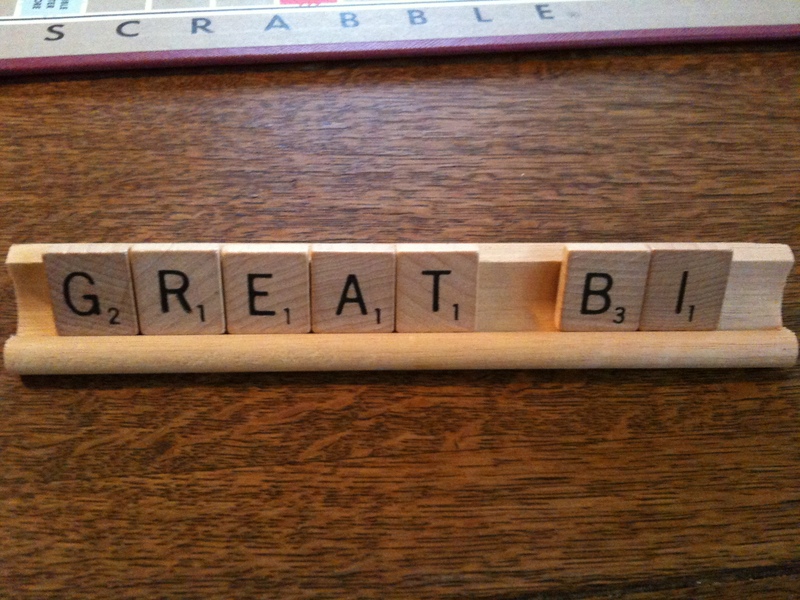 (It’s so Bellevue!). 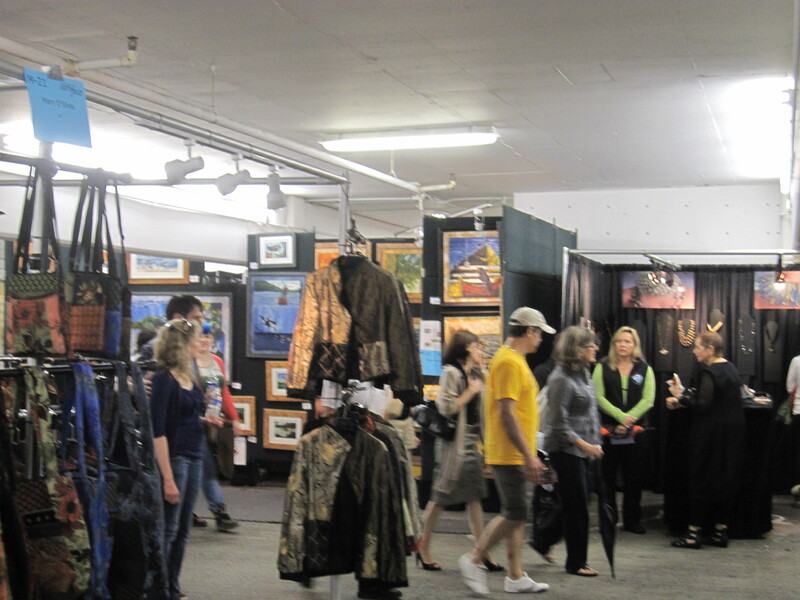 There’s terrific art, crafts, clothing, jewelry, sculpture, you name it, at this fair. It’s hard to find a better art fair anywhere. The fair also included some live performers. 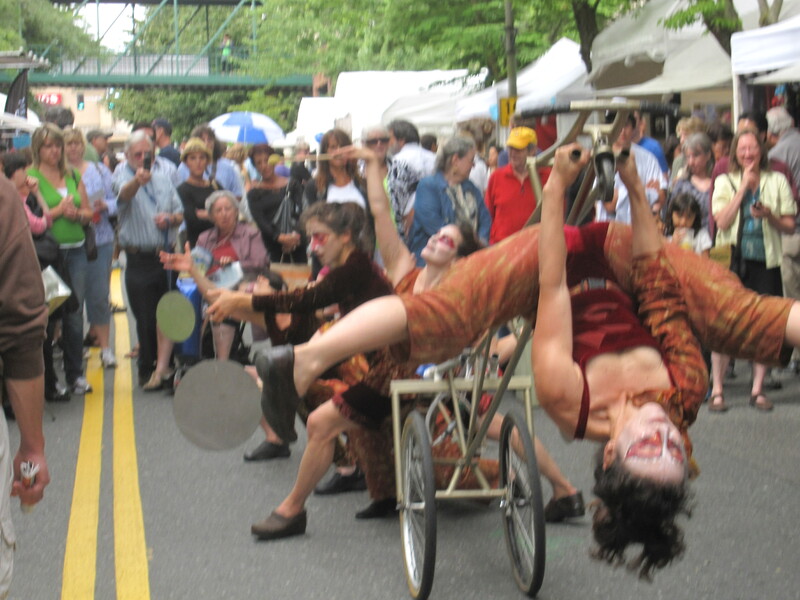 There’s so much going on in the Seattle area and on the eastside in the summer. If the weather cooperates, as it did last weekend, it’s a fabulous place to visit. What are some of your favorite places to take visiting friends and family? But most importantly, would you pay $400 to buy truffles? 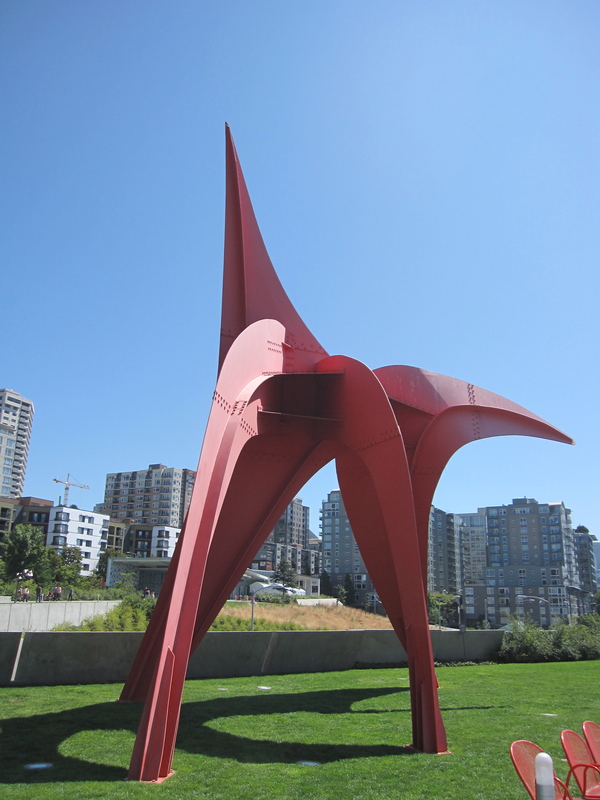 You've Been to Downtown Bellevue, But Have You Really Seen Downtown Bellevue? 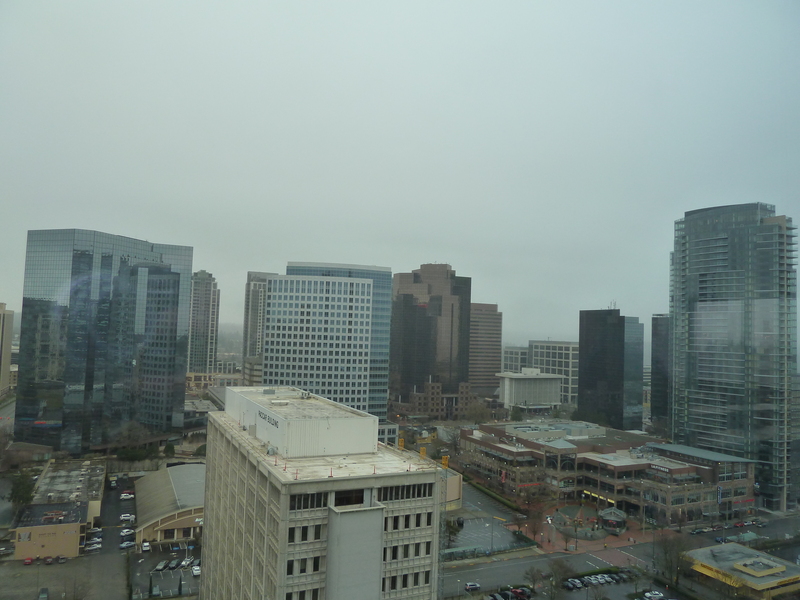 Do you think of downtown Bellevue as a drive-through from the highway to the mall? I bet most Eastsiders zoom along NE 8th to the mall. Most have probably never walked around downtown Bellevue. This should not come as a surprise, since downtown Bellevue was designed to accommodate a car culture. I’ve lived on Seattle’s eastside, near downtown Bellevue for 25 years. I’ve been all over downtown Bellevue. I’ve watched it change dramatically from a handful of tall buildings to a city dominated by buildings, some over 40 stories tall. 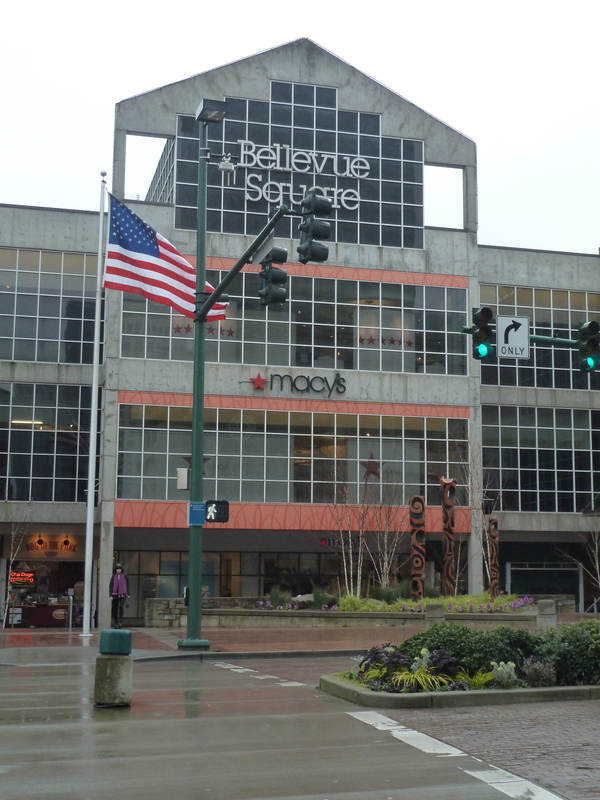 I frequent shops, restaurants, the Art Museum, Meydenbauer Center, and the mall in Bellevue. I know downtown Bellevue pretty well. But I, too, had never just walked around downtown just for the sake of walking. Bellevue is a great place to walk around and explore. It’s made an amazing transformation from a car centric downtown to a place to live, a destination place, and a great place to walk. I did that just this past weekend. I walked from the Bellevue Square mall over to the Bravern as part of the Seattle Architecture Foundation’s Bellevue 2.0 tour. It started as an outdoor shopping mall (bet you didn’t know that) was enclosed, expanded, and became one of the top 20 malls in the country. The granddaddy of all arts fairs takes place in the parking garage of said mall. The art fair is a true winner. The caliber of art is far above most art fairs, even if it’s in the mall garage. From the second floor perch in Macy’s there’s a great view of the downtown skyline. The Bellevue Art Museum is right across the street from the mall as is Lincoln Towers with its Westin. Bellevue Place is just down the street. and the City Center Plaza from the big window. A walkway begins right across from the mall and can take you almost across downtown, which we ultimately did. if you have a chance to step inside the lobby, it’s quite interesting. The tour is great in the sense that you are out seeing the city, but wisely takes advantage of many indoor sites for long conversations. We got to see the view from Lincoln Tower and the City Center building. 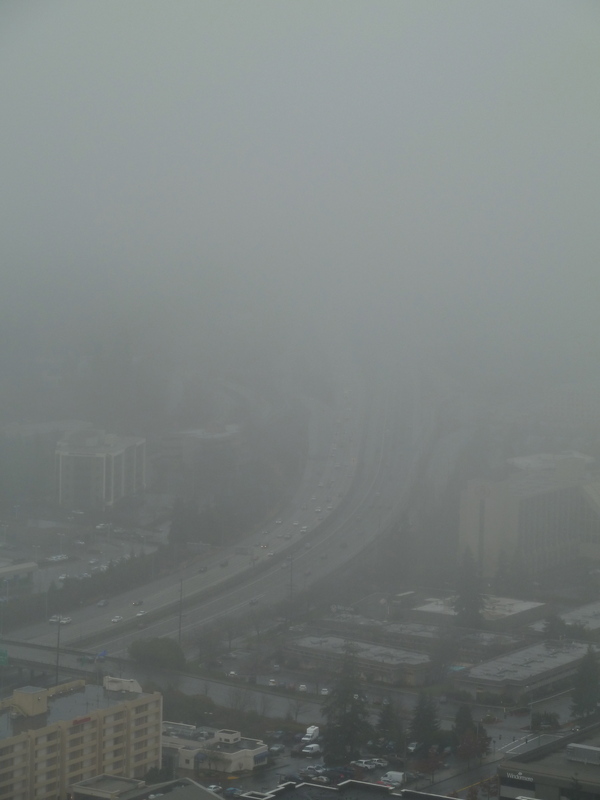 Of course, it was pretty foggy out, so the stellar views of Lake Washington, Seattle, and Mt. Rainier were all behind the fog. Lots of great questions were answered by the guides and many of the participants, including me, added their share of information regarding downtown Bellevue. Where did the bricks come that were used to construct the Bellevue Library? What country is planning a consulate in Bellevue? What architectural firms were active in downtown Bellevue development? Who are Bellevue’s 3 biggest employers? What’s going to be built north of the Hyatt? 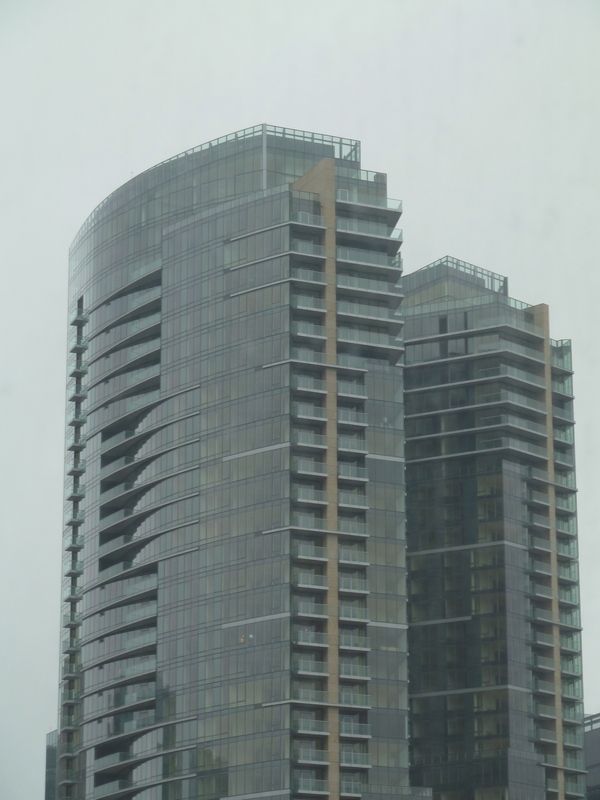 What was the first hi-rise in downtown Bellevue? Whose wood sculptures can be found decorating some of the buildings and plazas in downtown Bellevue? (one of my contributions, so it may or may not come up on your tour. Where was the first Bellevue Art Museum? You’ll have to take the tour to find out the answer to these questions. The tour is fun, engaging and a nice thing to do on a Saturday morning. Let’s hope the day you take the tour you get to see some of the stellar views available from downtown Bellevue. How Did August, 2010 Seattle-Eastside Real Estate Sales Stack Up In Your Neighborhood? How did August, 2009 stack up to August, 2010 in your neighborhood? 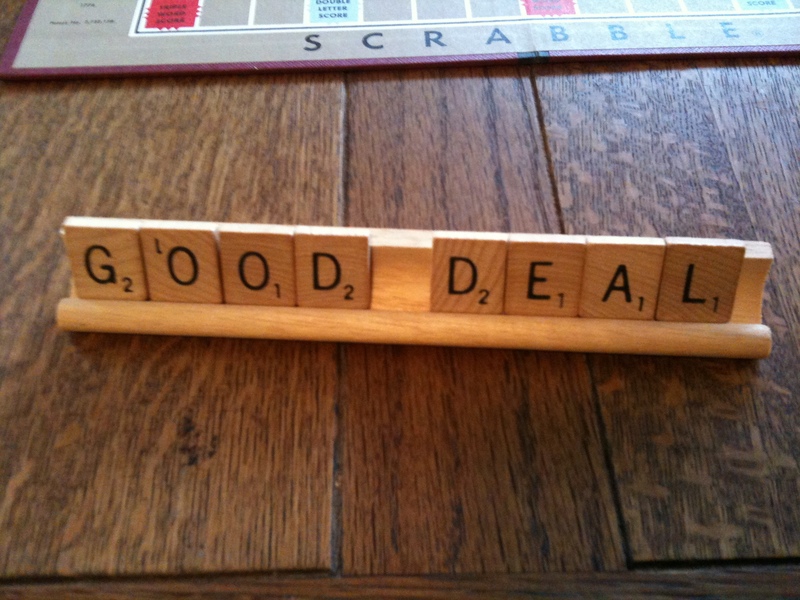 The odds of selling a home were 16%. Median sales price decreased from $515,000 $479,895. The number of homes for sale increased by 9% and sales were down by 17% from last year. Median sales price increased to $494,900 from $475,000. The number of homes for sale were up by 4% and sales were UP by 8%. The odds of selling a home were 14%. Median price increased to $550,000 from $499,500. The number of homes for sale dropped by 13% and sales were down by 26%. The odds of selling a home were 13%. Median price was down from $425,000 to $415,000. The number of homes for sale declined by 2% and sales were down by 27%. Median price increased to $641,000 from $581,919. The number of homes for sale declined by 13% and sales were down by 27%. The odds of selling a home were 6%. Median pricing was down from $899,475 to $869,000. Median pricing increased from $542,250 to $549,950. The number of homes for sale increased by 12% and sales decreased by 10%. Real estate sales numbers are down on Seattle’s eastside, with the exception of one area. The East Bellevue and Redmond area near Microsoft showed a slight increase in the number of homes sold. This area was also the only area to show an increase in median price, number of homes on the market (not so good), and number of homes sold. However, median pricing was up in 3 other areas, South Bellevue and Issaquah, Kirkland, and Redmond and Carnation. The number of homes for sale on Seattle’s eastside is the highest for this year, but should be experiencing a downward swing as we head into fall. Right now, though, there are a lot of choices out there and not as many buyers to compete with. Good buys are out there if you take your time and check out the homes for sale. What real estate activity have you seen in your neighborhood? You Should Buy This House! 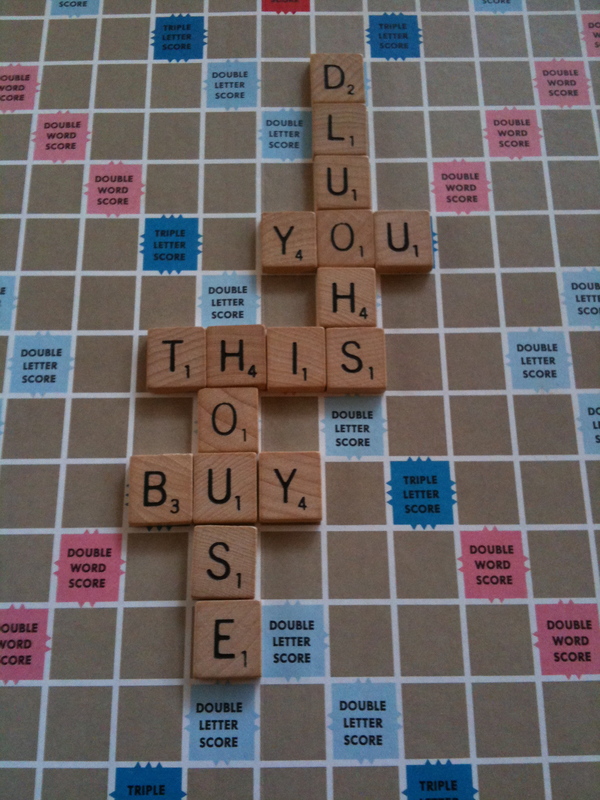 The Scrabble Board Says: "You Should Buy This House"
View from Lake Washington Blvd NE in Kirkland this morning at 9 AM. The fog was definitely here in Kirkland this morning. It was hard to see the big lake out there. Actually, the fog was a breath of fresh air, so to speak, because there was no rain. Seattle and the eastside have lived up to their rainy reputation since the beginning of 2010. So far this year, which is all of a couple of weeks, there’s been 5 inches of rain in Seattle. I’m dreaming about July and August sun right now!